Here is a 45 Degree module representing an area along the Deschutes River in Oregon near North Junction. Plans are in the work to include more modules depicting this area of the Deschutes River. This two part module set with a 22.5° bend in the middle, and 11.25° angles on each end to make a 45° angle when in a setup is based on the area around Palouse Washington. This module features some switching operation and can be operated as a stand alone layout. This module set is based on an industrial spur on the South end of Bend Oregon. 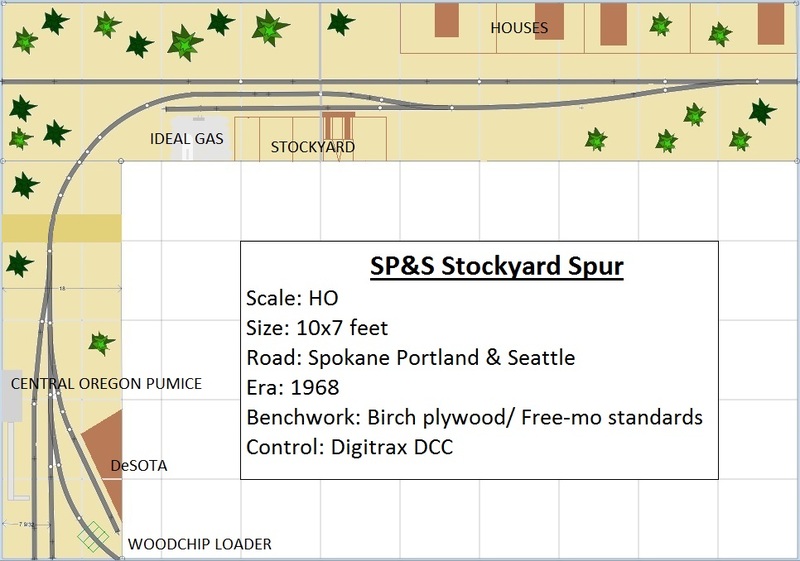 The spur features a stockyard, Ideal Gas, Kerns Desota, and Central Oregon Pumice. The basic bench work has been started, but has a long ways to go before it is show ready. 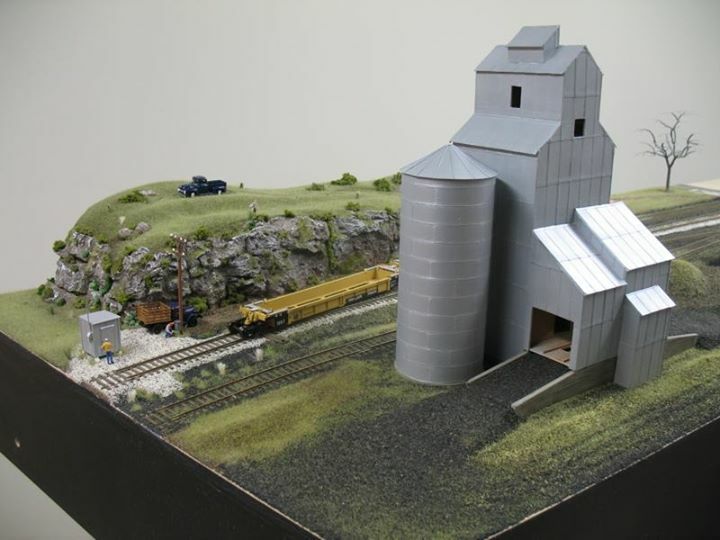 This three module set is based on the Madras Oregon Industrial area located on the bluff above the town of Madras. This industrial area use to have a wide variety of rail served industries but now only host a handful of active shippers. The modules represent one section of the industrial area and will eventually connect to a mainline module.